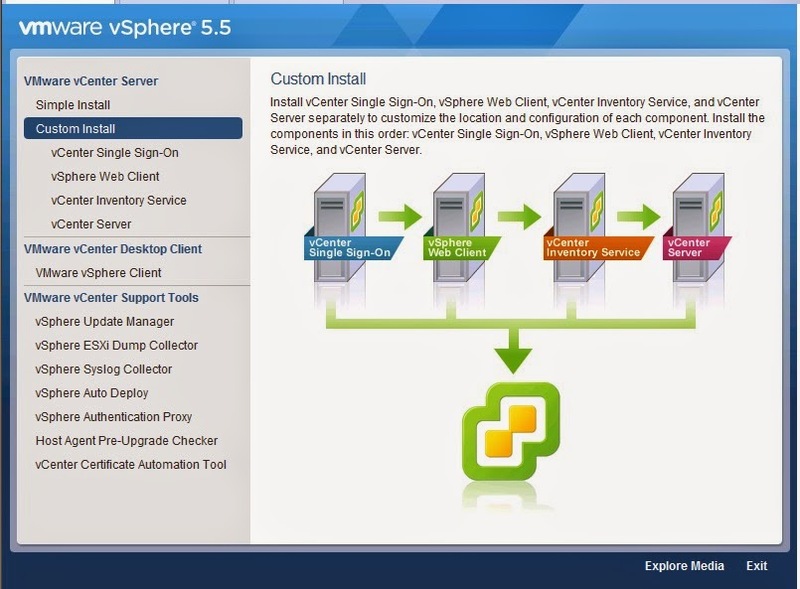 VMware vCenter Server is the management system for your VMware ESXi servers. 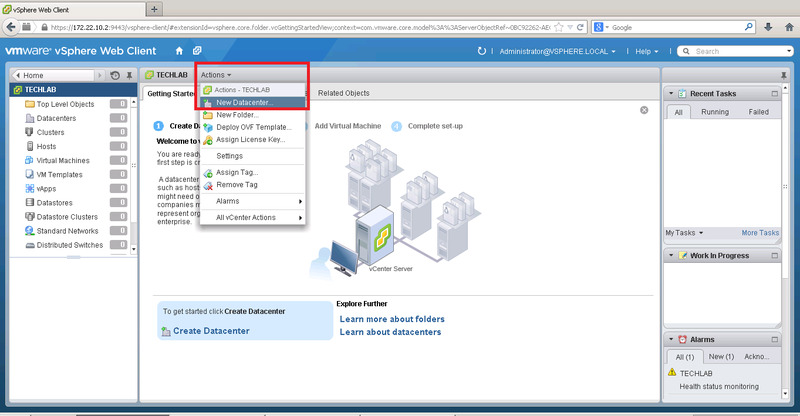 Through vCenter server you can configure VMware ESXi HA, DRS, vMotion and Virtual Distributed Switch, vCenter also manage your virtual networks and their interfaces to the physical network. Its also used to provision storage and create virtual machines, including templates and lots more. 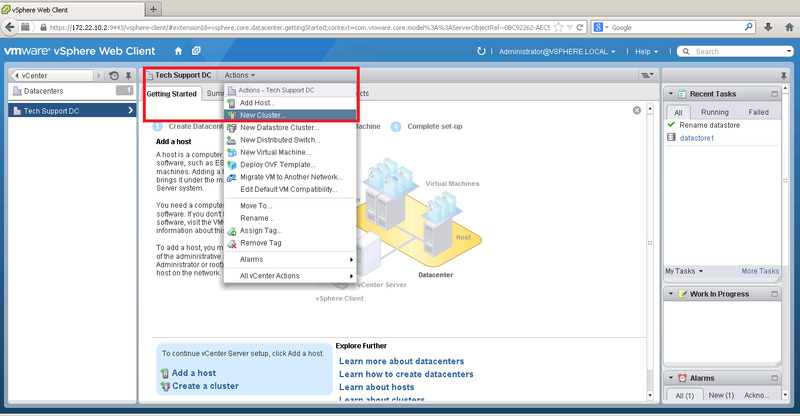 vCenter can be installed either on virtual or physical machine. Memory: 4GB RAM - If only vCenter Server installed on this server. 10GB RAM - If vCenter Server, vCenter Single Sign-On, and vCenter Inventory Service are installed on the same server. Note: Also add 2GB RAM if your running SQL Server express or SQL installed locally on this server. Disk storage: 4GB - If only vCenter Server installed on this server. 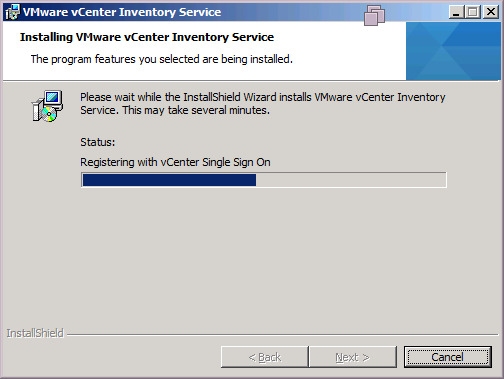 60 to 100GB - If vCenter Server, vCenter Single Sign-On, and vCenter Inventory Service are installed on the same server. Note: Disk requirements may be higher if your database runs on the same machine. For detailed OS and Database information please refer to the Host OS section of the VMware vSphere Compatibility Matrix and the VMware Product Interoperability Matrixes. 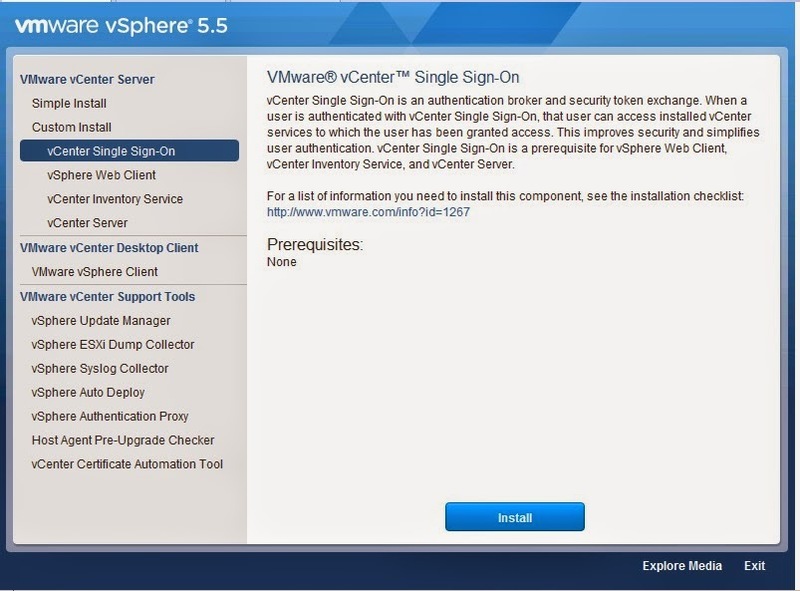 vCenter Single Sign On (SSO) is a component of the VMware Cloud Suite. SSO deals with identity management for administrators and applications that interact with the vSphere platform. SSO is based on identity management technology built by RSA and specifically tailored for VMware Cloud Infrastructure deployment. Previously when you logged into vCenter via vSphere Client you authenticated directly with Active Directory. However now when vSphere Client connects to vCenter, it's authenticating via vCenter SSO through your Active Directory as an authentication method. 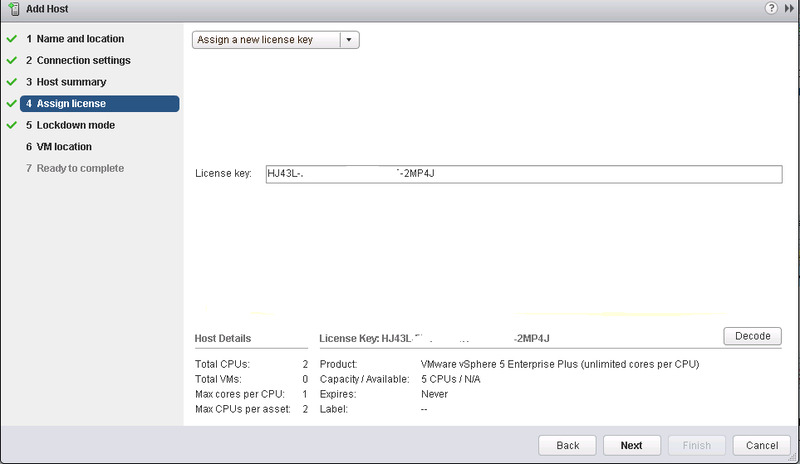 As the VMware product portfolio expands what VMware are trying to do is use SSO for authenticating all their products. We will be installing all the components on the one server, but I won't be using the simple installer, instead i will be using Custom Install. Insert DVD or unzip "VMware-VIMSetup-all-5.5.0-xxxxxx.zip"
If it does not autorun, use "autorun.exe" in the root of the cd or folder. 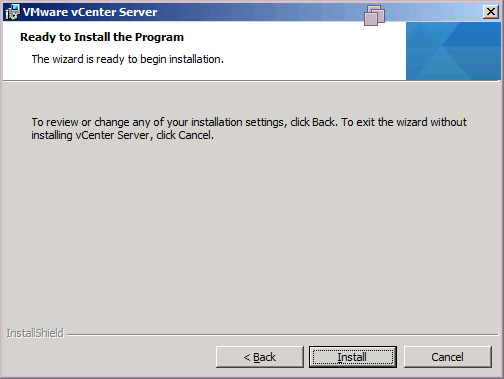 Click "vCenter Server" to start the installation. 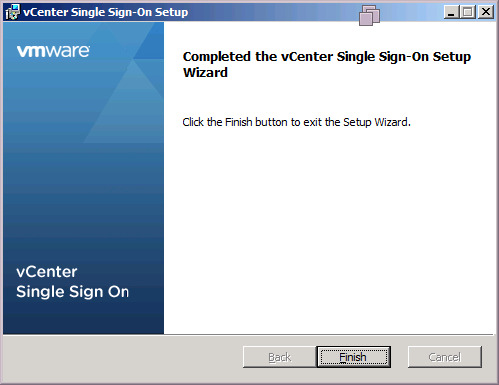 Click "vCenter Single Sign On" then Click "Install"
The vCenter Single Sign On installation wizard will start. Good luck! Click Next. Tick "Add as a native Active Directory identity source". This is to save you adding it manually later. Select "vCenter Single Sign On for your first vCenter Server"
Note: This is a local user in the SSO database, it's neither a local windows user or AD user. If Active Directory authentication stops working you can still login with the "administrator@vsphere.local" user so make sure you keep this password safe. 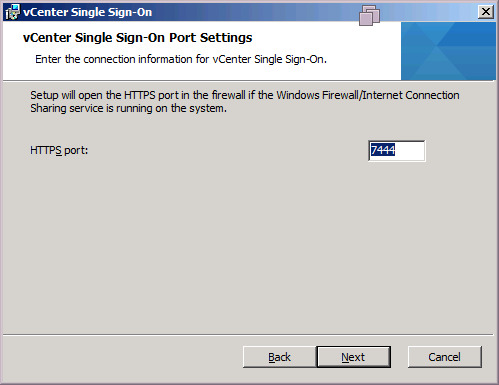 Keep the HTTPS port as the default 7444 recommended. 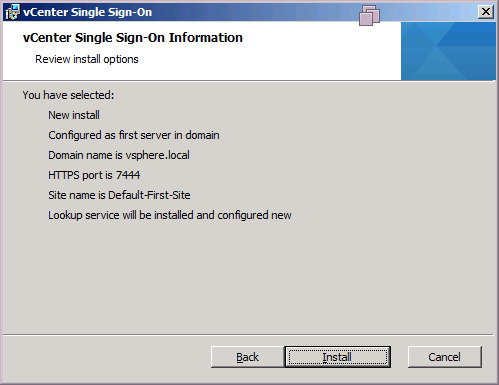 Select the directory in which to install vCenter SSO. Confirm the installation options before pressing "Install". 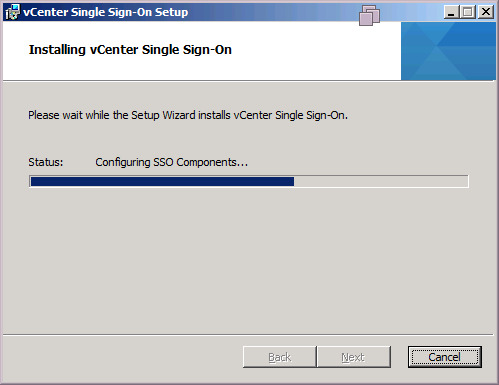 vCenter SSO will being to install and configure an AD LDS instance. in older version of vSphere 5.0 the Web Client make came but with limited functionality compared to the installed vSphere Client. 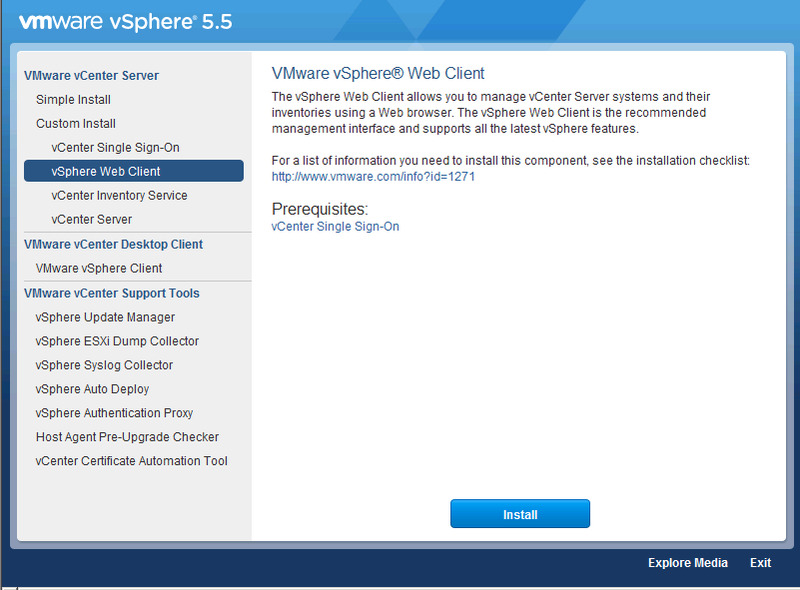 However with the release of vSphere 5.5 VMware are now pushing the vSphere Web Client as the primary console to manage vCenter Server. We are installing this on the same vCenter server, but again if you wanted this could be installed on it's own dedicated server. Again back at the installer launchpad click "vSphere Web Client" and Click Next. Select the language click next! Set the install location and click Next. Leave the ports as their defaults. Click Next. 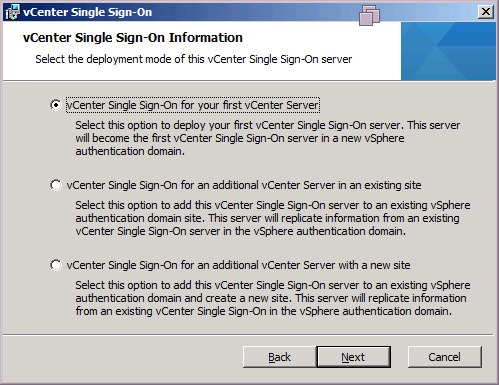 Enter the vCenter Single Sign On details as you did with the vCenter install to register it with vCenter SSO. Click Yes to accept the self generated SSL certificate and on next screen Install the self generated Web Client certificate. Note that the vSphere Web Client services will take some time to load before they become available. vCenter Inventory Service reduces direct client requests to the vCenter server with query caching, reducing the load on core vCenter Server processes. 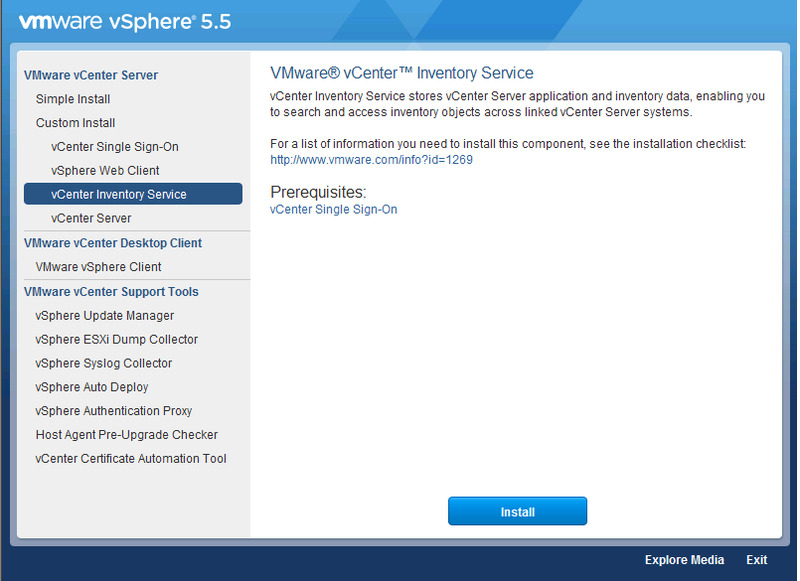 The main use case of the vCenter Inventory Service is to manage the vSphere Web Client inventory objects and property queries that the client requests when users navigate the vSphere environment. 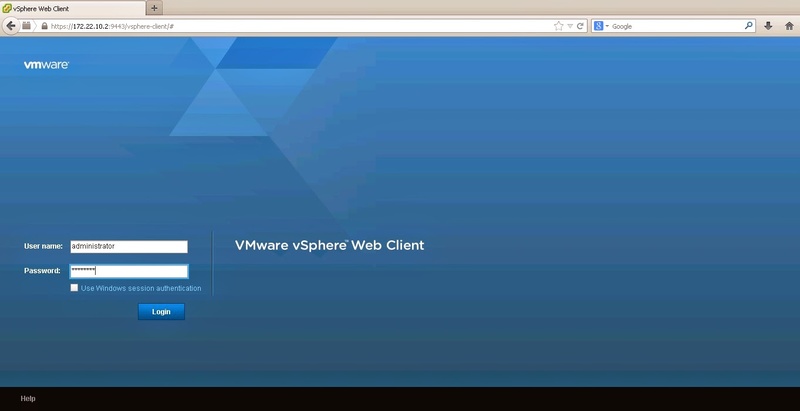 The vSphere Web Client requests only information viewed on the screen, so navigation is more efficient. In vCenter Server 5.0, vCenter Inventory Service was a separate process. With the updated vCenter Server, it is now a separate independent component and can be offloaded to a separate server or closer to the vSphere Web Client. This reduces traffic and improves response times. 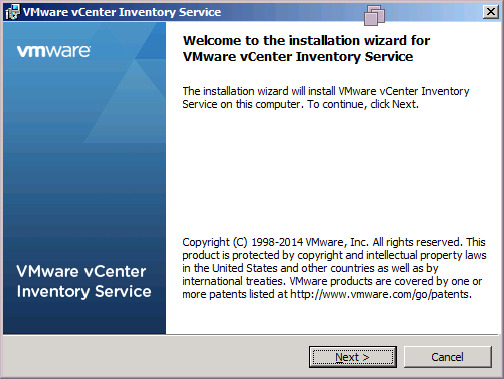 Back to installer for vCenter Inventory Service and Click Install. Accept the license agreement click next. Select the desired installation location and click next. Enter the FQDN for the inventory service. Keep the ports as their defaults. Click Next. Select the appropriate JVM memory size for your expected end goal deployment size. 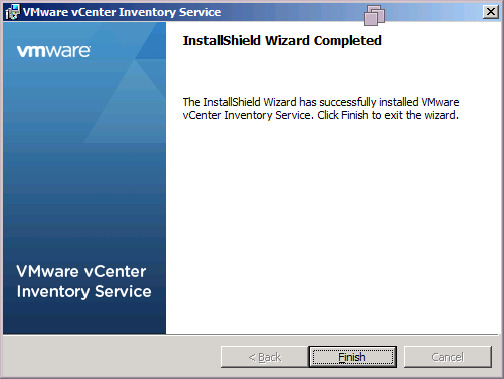 vCenter Inventory Service installation completed. 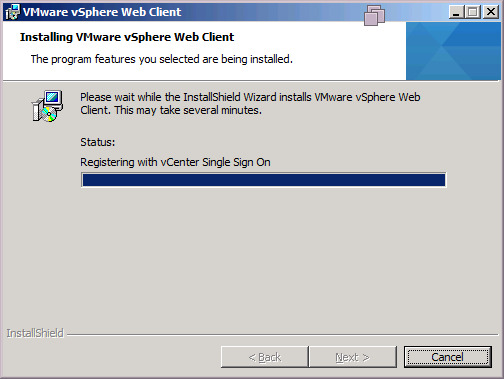 The vCenter Server installer will start, Click Next. Enter your license (if you don't it will run in a 60 full eval). Click Next. If deploying a small scale deployment (5 hosts and upto 50 VMs) you can choose to use SQL Server 2008 Express (which is actually 2008 R2). Else you can use your own existing database server. Choose to run the vCenter service under the "SYSTEM" account or recommended user-specified account. This can be a standard active directory account with local administrator rights on the vCenter server. The account will be grated "Log on as a service" right on the server. 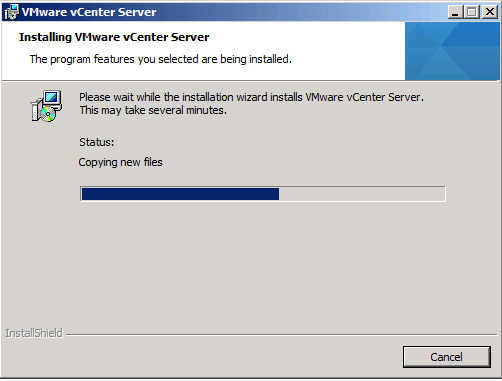 As this will be the first vCenter installation choose "Create a standalone VMware vCenter Server Instance". 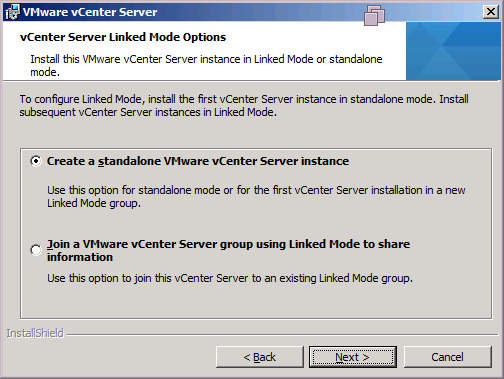 You would create linked mode vCenter servers if you have multiple vCenter servers, most likely if you were deploying a vCenter at two different data-centers for use with Site Recovery Manager. Verify the ports to use for vCenter server, change if required (I recommend keeping the defaults unless you have a very specific reason). Click Next. Select your deployment inventory size to correctly size the JVM memory for vCenter server web services. 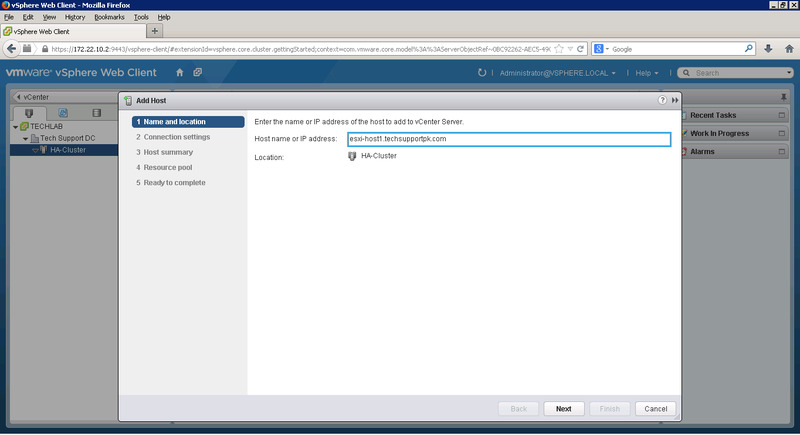 Enter your vCenter Single Sign On administrator credentials (administrator@vsphere.local) to register the vCenter Server with vCenter SSO. 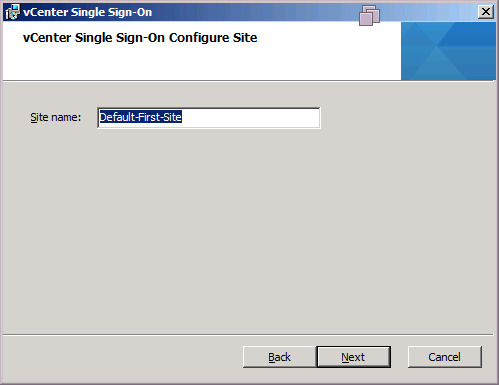 Register the Administrators user group with vCenter Single Sign On (make sure the user group box is ticked). This way anyone that is a local administrator on this server can manage vCenter (inc domain admins). 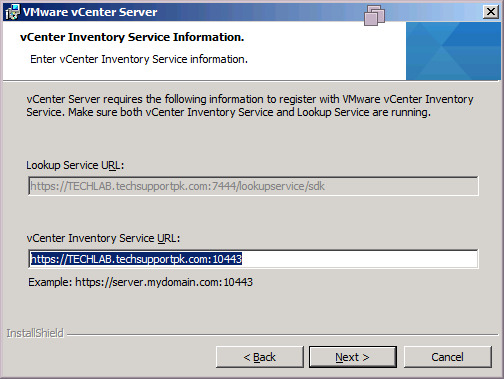 Ensure the correct vCenter Inventory Service address is entered. Here we are installing this on the same server as vCenter server. 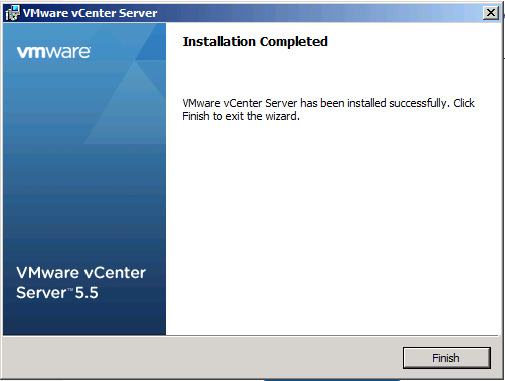 The installation of vCenter server completed, Click Finish. We will also do all these tasks from within the vSphere Web Client because we shouldn't be using the old vSphere Client anymore. 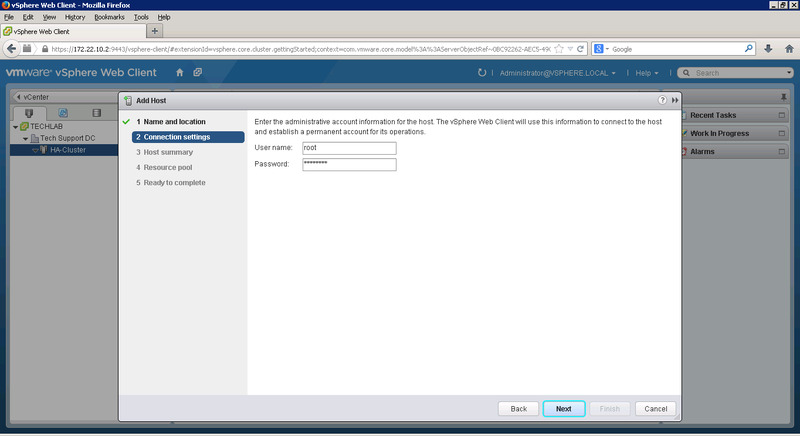 Login to the vSphere Web Client and navigate to your vCenter within the left inventory. Clikc "Action" tab then Click "New Datacenter"
Next we need to create a cluster within our Datacenter so we can add hosts into a HA DRS cluster. Give the cluster a sensible name. This could be the rack that the cluster of servers are in, it could be the production cluster, test cluster, DR whatever makes sense for you. Tick "Turn ON" DRS and "Turn ON" vSphere HA. Click OK to create the Cluster. 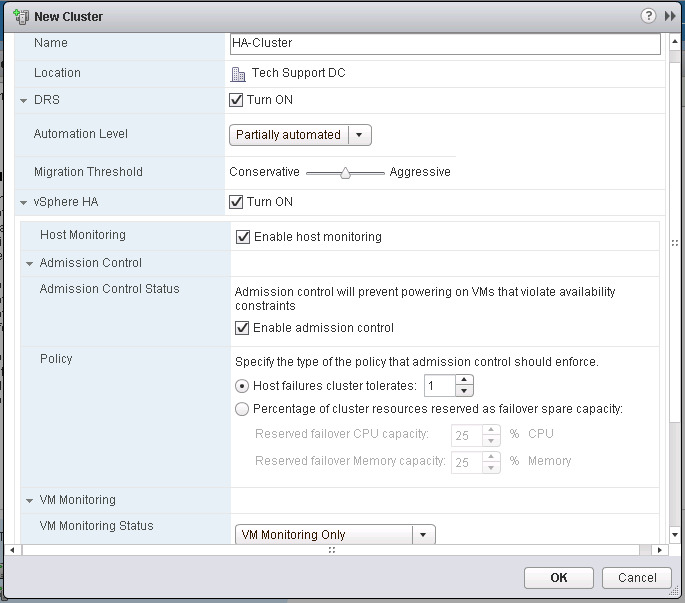 Now we have our HA/DRS cluster we want to add some ESXi servers (hosts) to the cluster. 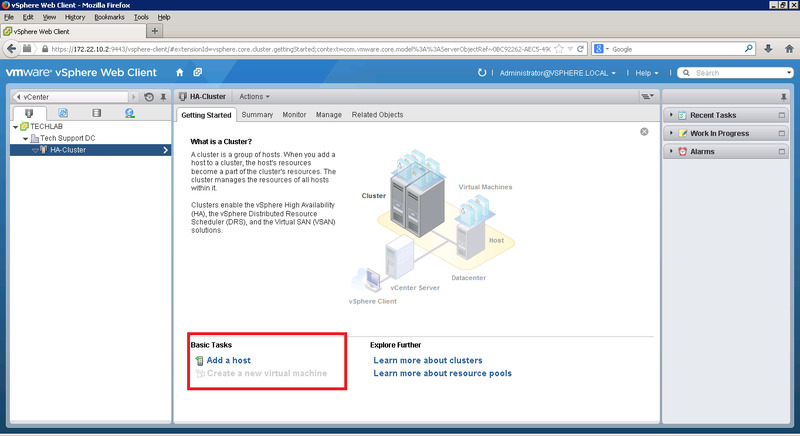 Select the cluster then Add Host. Note: If you missed the step at the beginning to create an A record in DNS you can do it now. 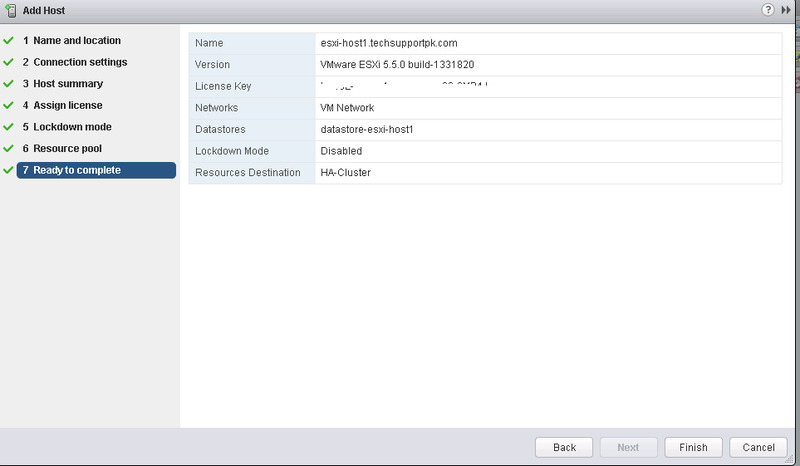 Enter the username (root) and password for your ESXi server. Click Next. Accept the certificate from the host. Check the host details and click next. 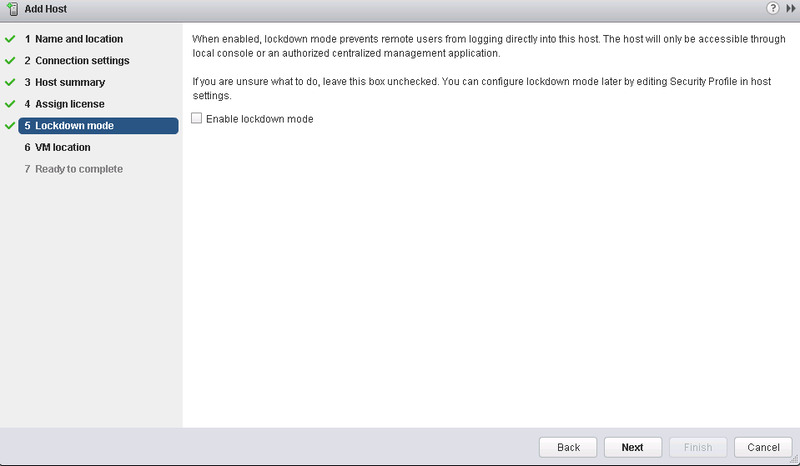 Note: If you enable lockdown mode you cannot manage the host directly if vCenter is unavailable. 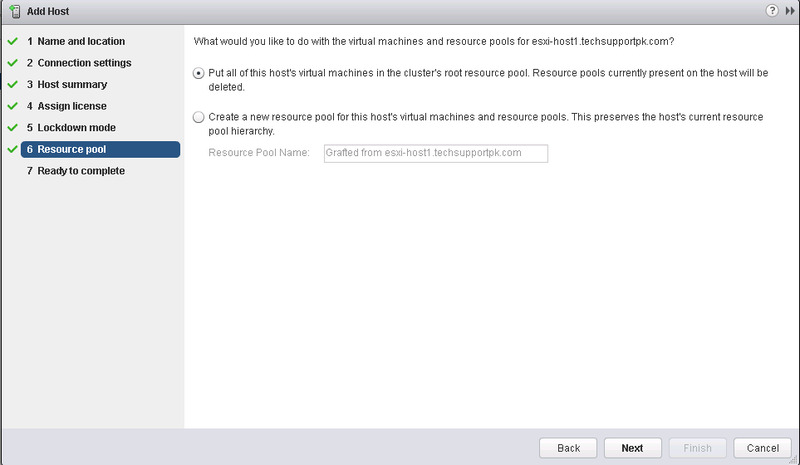 Any VMs on the host can be either added to the root resource pool or placed into a new one for this this hosts resource pools and VMs. Click Finish to add the host to the cluster. After a couple of minutes the host will be successfully added to the HA/DRS cluster. You can add more host one by one. 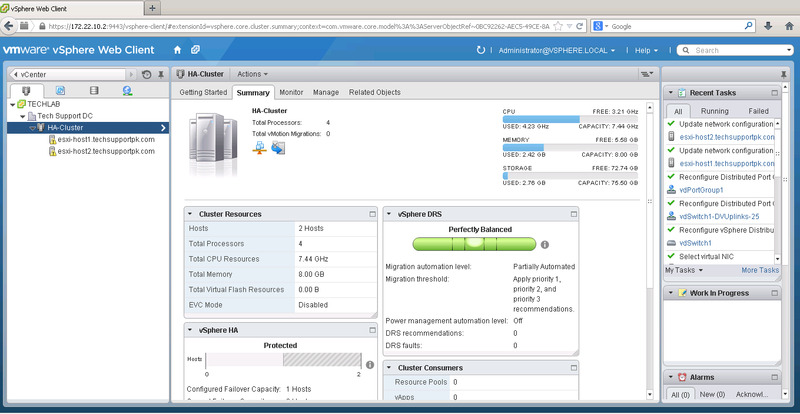 Congratulation, your HA cluster is ready, start your virtual machine deployment. Please post your comments or questions under the comment box and will definitely try to address your queries. Thank you so much for all detailed information and explanation. Very much easy to understand. One little doubt here, to enable DRT in cluster, do e need enterprise license or it will work on standard licence also. Your are right. Standard version doesnt support DRS. I tried to install Update Manager, it does not show in vCentre? 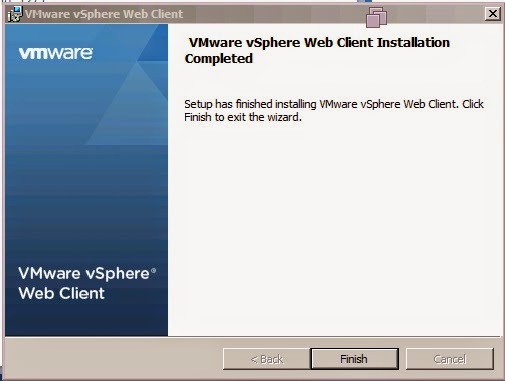 To use Update Manager, you must install the Update Manager Client plug-in, which is delivered as a plug-in for the vSphere Client. You can install the Update Manager Client plug-in on both 32-bit and 64-bit operating systems. ■Install the Update Manager server. ■Install Microsoft.NET Framework 3.5 SP1. 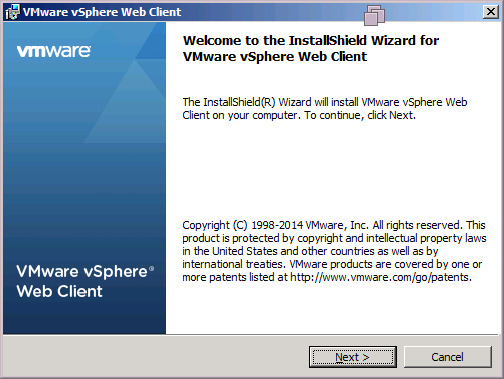 You can download it from the vSphere installer. 1. 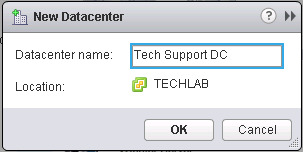 Connect the vSphere Client to a vCenter Server system with which Update Manager is registered. 2. Select Plug-ins > Manage Plug-ins. 3. 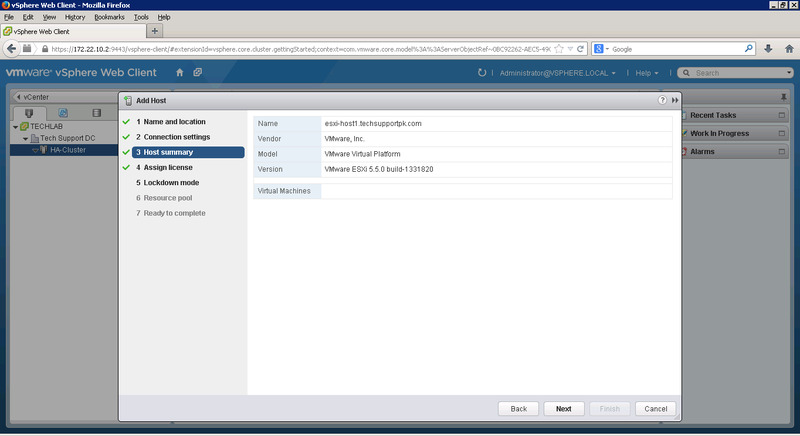 In the Plug-in Manager window, click Download and install for the VMware vSphere Update Manager extension. 5. Review the Welcome page and click Next. 6. Read the patent agreement and click Next. 7. Accept the terms in the license agreement and click Next. 9. 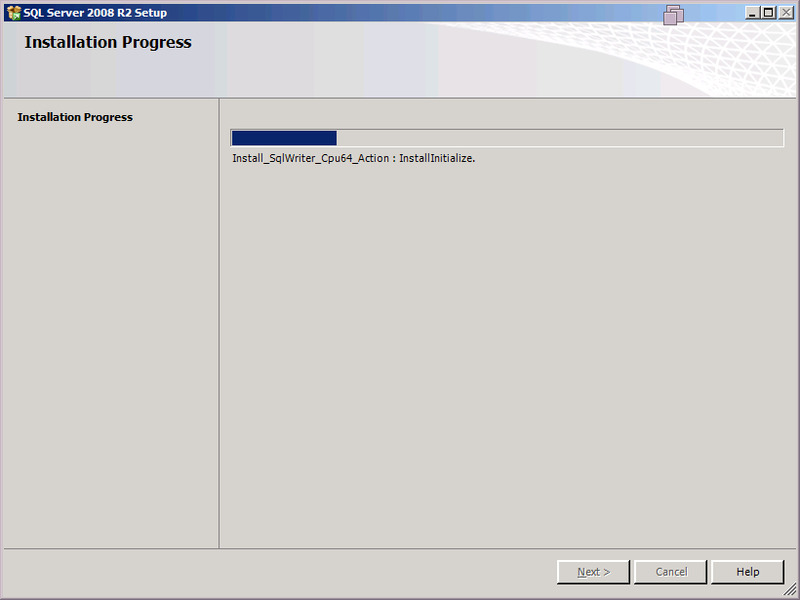 Complete the Update Manager Client installation, and click Finish. The status for the Update Manager extension is displayed as Enabled. 10. Click Ignore if a security warning appears. The security warning appears when the vSphere client detects a certificate that is not added in the Trusted Root Certification Authorities store. 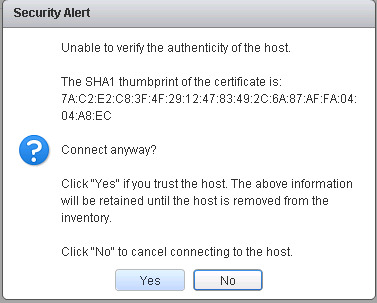 This is usually the case with the self-signed certificate used by ESX/ESXi hosts by default. For highly secure environments, you must set up a trusted third-party certificate later. 11. Click Close to close the Plug-in Manager window. 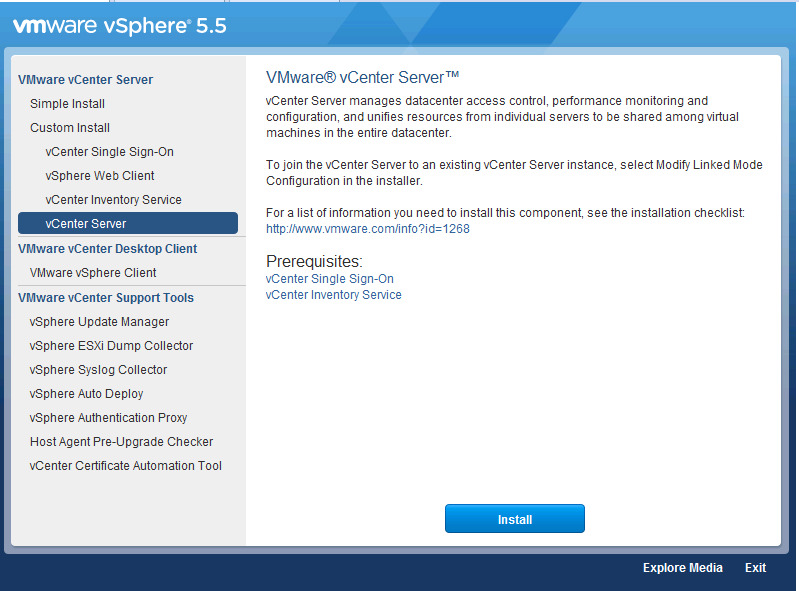 The icon for the Update Manager plug-in is displayed on the vSphere Client Home page under Solutions and Applications. 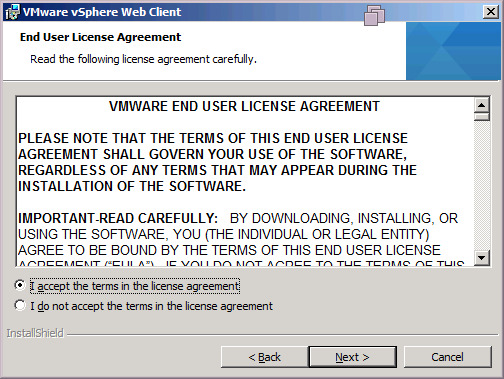 * VMware Update Manager is not registed with vCenter Server. * VMware Update Manager is registed to an incorrect server. 1. Ensure that the VMware Update Manager service is started. For more information refer to Stopping, starting, and restarting the VMware Update Manager service (1039328). 2. Verify the vCenter Server IP address. 3. If the IP address is incorrect, replace it with correct IP address of vCenter Server. For more information refer to, How to reconfigure Update Manager after a change of the vCenter Server IP address (1014639).